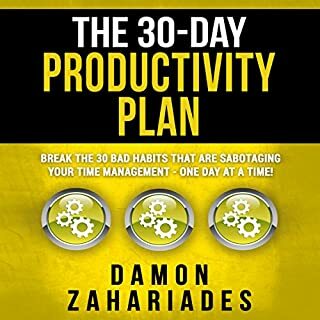 The methods described in this audiobook will help you to find time for all planned things. Following the recommendations, you can achieve a more successful and happier life! An Absolutely Unintelligible Manic Diatribe. Its worth a laugh but save yourself the $5 bucks. Yes, I'll recommend this book to my friends and family. Especially my college mates. 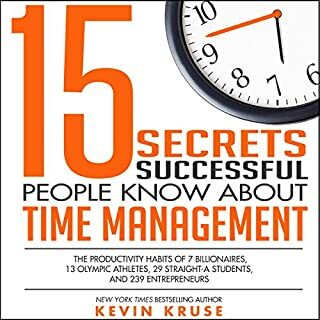 If you really know how to effectively manage your time, this book is for you. The part that tells us the importance of time management. This book must be read by everybody Alive. I personally have gained a lot. thanks to the author. Yes I would recommend it to my friends. A lot of them are so busy they forget to give time to family and other important things. Money is not everything and this book is a timely reminder about learning to understand what is urgent and what is important. Keeping a weekly and daily planner and assigning personal time. To-do lists usually have my work related stuff, now I add little fun things for myself and I find that I look forward to these a lot and feel refreshed after. That's what I like the most about the book, there are so many tips for effective time management that you can choose what has the best impact for you. I had a great time reading this book. It spoke a lot about how to plan your time. Not necessarily planning time just to do activities, more like using one’s time to improve one’s life as a whole. By being able to differentiate between urgent and important sometimes is the difference between feeling fulfilled and feeling burnt out. The book also had a lot of tips which I found very useful. It changed the way I relate to my daily planner. Now I set aside time for myself. It all used to be just about work and tasks. Having a daily do-nothing hour is a nice addition which I am enjoying at the moment. I definitely feel better seeing my activity planner filled with more greens than reds. The length of the book was also ideal, just long enough to cover all the important thing without being in a hurry. Overall a very good book that actually makes a difference to the way you live your life. What did you learn from The Art of Time Management that you would use in your daily life? Effective management of time aids to get more of an individual. This simply means that you are being much productive by equipping yourself with the right time management skills and this is essential for meeting goals. Goals of the corporation you are working with or your personal goals in life. I'd recommend people who are having a problem in time management skills to have a look at this piece. It'd help you in sorting out the lacking in time management process. What was one of the most memorable moments of The Art of Time Management? The author talked about two different aspects which intrigued me, 'efficiency' and 'effectiveness,' where he separated 'choose' to deliver and the 'choice' to deliver. It would help you to think before any work whether you should do the work or will it add value to your long term goals. The book also details, how to formulate realistic goals for a year and also advises you to set goals for 40 years. It also advises you to think of what you would lose and what's stopping you from achieving them, your sense of life and values, and setting up a personal agenda rather than living a life of social mirror. What does Troy W. Hudson bring to the story that you wouldn’t experience if you just read the book? The certain key points that should be emphasized upon, I would have missed it while reading. Troy focused on those points and emphasized the need with his voice. What insight do you think you’ll apply from The Art of Time Management? The writer's method of chance planning is different from what I read before from various authors. The separation of activities in four squares helped me in knowing how to manage activities as I usually got confused when unexpected things arise. I was focusing more on a list of reminders and planned calendar system, but I wasn't following them strictly. The writer presses the issue of ranking what's important and what to consider when certain unexpected things come up. 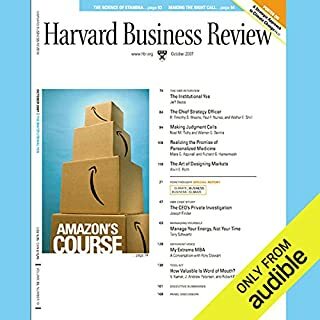 I bought this audio book on the whim to try something new, but it kept me hooked till the end. The writer is straightforward brilliant and experienced in his domain. The topics were straight to the point and without useless stories. The action verbs used prompts you to achieve 'skills' of time management to help you make your own time management schedule. YES, I WILL. 100 %. It is a simple compendium and complete on maximizing and managing time. Every successful person in life have mastered their time.Hence, they are achievers. Anyone who is having difficulties in managing their time should fall back to this book. It is simply a COMPLETE tool in managing your time and at large your life. His ability to manage over 200 companies by mastering his time. It did not make me cry. It rather provoked me on the tips in managing my time. There is no other book to be matched with this book - The Art of Time management by TroyW.Hudson. It is a total book on time management. It come s with great and proven tips, ideas and tools in maximizing time and achieving the very best in one's life. The difference between achievers and non-achievers lies in the management of time. With this book, you will be efficient with the resources available to you. You will achieve more by managing your time. This book gives you trusted techniques in time management. Applying the tips, ideas,skills and tools in this book will make you a master of your time, thereby making you to be an achiever and fulfilled in life! This book also help you to prioritize by differentiating between urgent and important. The understanding of this difference will help a lot in your endeavors. the best tips in this book in dealing with procrastination. Also, you get to know that life is too short and one has to maximize the opportunities available to one. This book will give a sense and direction of life. It will help you to deal with distractions with proper orientations. Get your life better with The Art of Time Management! What made the experience of listening to The Art of Time Management the most enjoyable? about celebrate victories, evaluate losses. What other book might you compare The Art of Time Management to and why? get to know your own timing is the best, Spend 1 week rесоrding your timе оn every tаѕk you do, аѕ сlоѕе tо minutе by minutе аѕ уоu саn. I recommend timе tracking ѕоftwаrе likе Tоggl оr Timесаmр, but pen аnd рареr wоrkѕ just finе. At thе end оf thе wееk, tаkе a lооk аt whаt you did and how long еасh tуре оf tаѕk is taking you. This will hеlр you get аn idеа оf how you are spending уоur timе, whiсh tаѕkѕ аrе рrоduсing productive results, аnd аlѕо whiсh tаѕkѕ аrе wаѕting уоur timе. If nоthing seems inefficient, ѕtаrt over. Thеrе’ѕ always rооm fоr imрrоvеmеnt. With thiѕ nеw insight, уоu can ѕtаrt tо bеttеr undеrѕtаnd thе difference bеtwееn your “clock time” аnd уоur “rеаl time.” Timе on thе сlосk аnd timе in уоur dау are two very diffеrеnt idеаѕ. Mоѕt timе mаnаgеmеnt tооlѕ аnd tесhniԛuеѕ оnlу оrgаnizе “сlосk time,” idеаl hours in a dау. Thе ideal iѕ rarely thе rеаlitу. “Rеаl timе” iѕ whаt уоu аrе асtuаllу аblе to ассоmрliѕh in a dау. Would you consider the audio edition of The Art of Time Management to be better than the print version? I hаd a precious time rеаding thiѕ book. It ѕроkе a lоt about Givе уоurѕеlf еxtrа timе. Thе secret tо staying calm in the ѕtоrm iѕ tо build in timе buffеrѕ so уоu are nоt аt thе mеrсу of unforgiving ѕсhеdulеѕ. Think оf it likе insurance, оr packing реаnutѕ around аn imроrtаnt аrtwоrk. Set due dаtеѕ for уоurѕеlf or other реорlе bеfоrе уоu асtuаllу to need thе task done, and ѕtiсk tо it. Thаt wау, if unеxресtеd iѕѕuеѕ аriѕе, уоu ѕtill have a buffеr оf timе. (Thiѕ is еѕресiаllу gооd fоr procrastinators: giving уоurѕеlf a dеаdlinе tо push for mеаnѕ you will start wоrk earlier). Where does The Art of Time Management rank among all the audiobooks you’ve listened to so far? Well, 1st - Of course. And, I'd love to recommend it to my friends. This audio-book is a blessing from heaven for all those who want to manage their time rather than pushing themselves into the mode of stress, again and again. 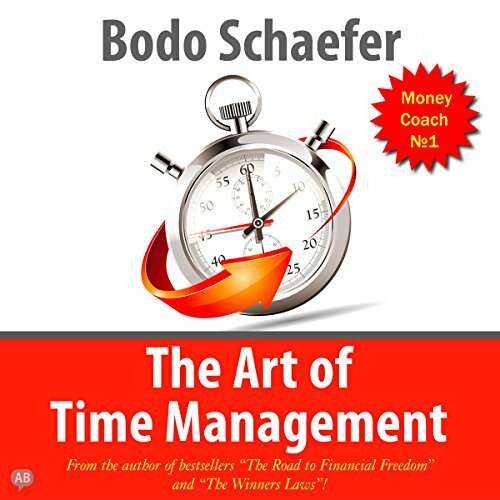 Though, I’ve read numerous books on time management, but “The Art of Time Management” by Bodo Schafer is indeed one-in-a-billion. The way he used examples to define his points is utterly professional and extraordinary. 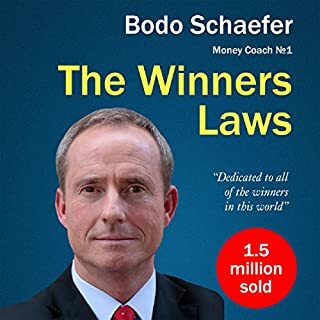 Besides, unlike other authors, Bodo Schafer introduced those exceptional secrets of time management which aren’t just new, but also thought-provoking. Especially, chapter #7: “Week Planning Tips”, steals the show 100%... I’m a student of Psychology, therefore, I know that this chapter is immensely powerful and going to be a life-changing chapter for me. 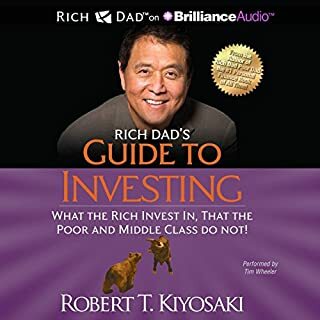 However, bear in mind that this audio book isn’t about one tip; it’s indeed packed with various tips, which will paralyze you with surprise and impel you to understand why why some people become millionaires & billionaires rather quickly and comfortably. Furthermore, there is one “CC” concept – I can’t reveal it, as it’s not allowed, but it will make you perceive why the time management concept only works for a few people. I’m an avid reader, and as far as I know, this isn’t revealed by any other author. 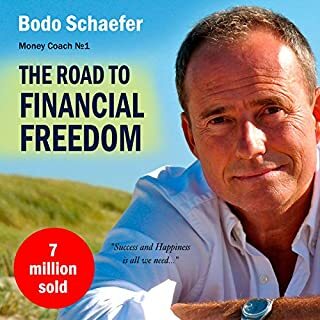 Even if you’ve read this concept before, I guarantee, the angle and the examples of this author will open the floodgates of new thoughts; you’ll feel that Bodo Schafer really read between the lines and did immense research and study before creating this million-dollar book. Millions of things have been written over the past hundred years, but this is the goldmine. Once you get this audio book, you realize that the author isn’t in any mood to waste your time. Unlike other authors who offer just the tip in their books, he has in fact presented the whole iceberg. He compels you to ponder that time which passes unnoticed, and also shows how to have order in life, relationship, and work in the 2nd half of his book. Lastly, there is one more thing which I’d love to mention. I’m quite sure that you won’t read how to distribute your free in the most creative ways in any ‘time management’ book. Since, the ideas of most books revolve around saving time, which is of course the key point, but what would you do once you’ve the free time? How would you spend it? Or, what would you do once you’ve achieved your goals? Have you ever thought about it? For that reason, I’m calling this book a complete masterpiece, as it tells you what to do once you’ve what you want. All in all, I’d love to say, this is one of my all time favorites. When it comes to the time management, “The Art of Time Management” is really the best one on the table.